When you choose a wine subscription gift from our site, you know you’re giving a great wine gift. All of our wine gift ideas are given a thumbs up by knowledgeable wine lovers. We find stocked with high-quality wine, including Red Wine, White Wine, and Mixed Wine. The wine subscription gifts we pick include wine from International Wine Country, California Wine Country, and Oregon Wine Country. You can send wine club gifts almost everywhere in the US. Why this gift: The California Wine Club is one of our favorite wine subscription companies. We recommend a mix of red and white wine to help them discover the joys of California wine from small family wineries. Announce your gift with the elegant Gift+ option for an additional $18. For 10 years we've been reviewing wine of the month clubs. If you'd like to learn more about this wine club gift, please read our full Premier Series review. Give any wine club gift and get two extra bottles of wine in the first shipment PLUS a $25 wine credit for the wine store. Until Apr 30. Use code EXTRAWINE at checkout or Click Here for This Deal. Why this gift: The Gold Medal Wine Club is one of our favorite wine subscription companies. We recommend a mix of red and white wine to help them discover the joys of California wine from small family wineries. Two- or four-bottle gifts delivered monthly, every other month, or quarterly. For 10 years we've been reviewing wine of the month clubs. If you'd like to learn more about this wine club gift, please read our full Gold Series review. 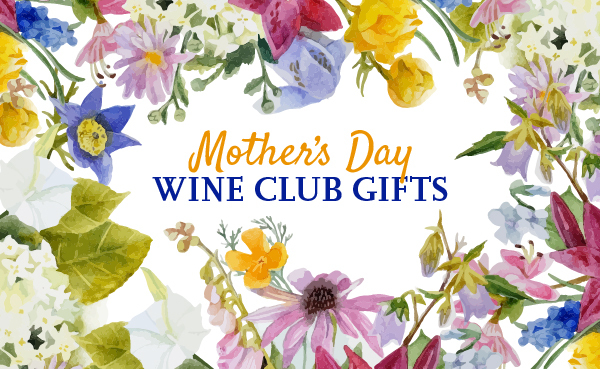 Exclusive Deal Give a wine club gift of 3 months or longer and get a bonus bottle of Napa Cab, a free artist-designed gift box, free gift bags, and a free printed gift notice. Click Here for This Deal. Why this gift: Vinley Market is one of our favorite wine clubs, and we especially love the sommelier-selected bargains in their Bubbles & Rosé wine club. This three-shipment gift of their wine club includes sparkling and still rosé wines sure to impress any pink wine lover. For 10 years we've been reviewing wine of the month clubs. If you'd like to learn more about this wine club gift, please read our full Vinley Market Bubbles & Rosé review. Why this gift: The California Wine Club is one of our favorite wine subscription companies. We recommend this wine club gift for anyone ready to get to know what's happening in small family wineries outside the US. Announce your gift with the elegant Gift+ option for an additional $18. Why this gift: The wine in this pairing is high-quality International wine from a wine of the month club with a solid reputation for consistency, quality, and giftworthiness. The cheese, which we recently sampled a shipment of, was unique and enjoyable — not like what you find at the grocery store. Why this gift: The California Wine Club is one of our favorite wine subscription companies. We recommend this wine club gift for anyone ready to get to know the wine from Oregon and Washington state. Announce your gift with the elegant Gift+ option for an additional $18. For 10 years we've been reviewing wine of the month clubs. If you'd like to learn more about this wine club gift, please read our full Pacific Northwest Series review. Why this gift: The wine in this pairing is high-quality International wine from a wine of the month club with a solid reputation for consistency, quality, and giftworthiness. The chocolate, which we recently sampled a shipment of, was unique and enjoyable — not like what you find at the grocery store.